We need the natural world for our own survival. The inexorable and rapid rise in human populations and our insatiable appetite for resources has become an unsustainable drain on the life support systems upon which we all depend. This is reflected in many global crises, but can be witnessed close to home in the catastrophic loss of wildlife and wild places. The Simon King Wildlife Project was born of a desire to turn the tide against the loss of natural habitats and begin a movement to reclaim land for the natural world. 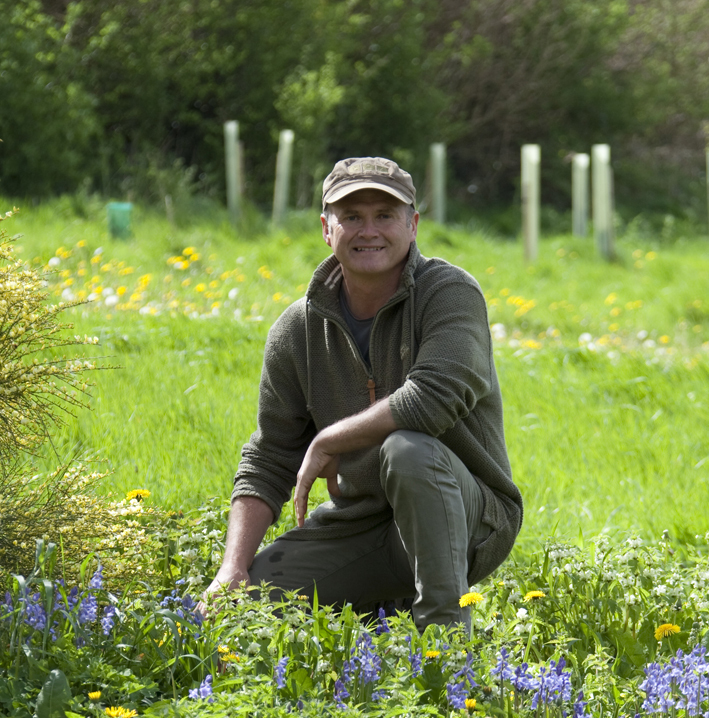 The Simon King Wildlife Project founder – naturalist, broadcaster and author Simon King OBE – took the first positive step on this journey in 2010, when he bought a 10 acre plot of overworked pastureland in Somerset and set about converting it into a haven for wildlife. In four short years the changes have been miraculous, with the variety and volume of wild creatures and wild plants and flowers on the land increasing enormously. This success story convinced Simon that landscape scale projects of a similar nature were possible, and The Simon King Wildlife Project was born. But this project is as much about people as it is about wildlife. As an internationally respected producer, cameraman and presenter of wildlife films (Planet Earth, Life, Springwatch etc), Simon also realised that the key to successfully halting the global degradation of the natural world was in people learning about, engaging with, and caring for wild creatures and wild places. It was with this in mind that Simon installed a live camera network within his 10 acre plot, known as Wild Meadows, so that the secret lives of the wild creatures that moved in to the land could be seen and shared by anyone, anywhere, anytime. In its first year of streaming live on the internet, SimonKingWildlife.com has received over 2 million page views and attracts a loyal audience in excess of 150,000 people. This is just the beginning. We know we can change the land. We know we can reach the people. But we want to do more. We want to acquire new sites that have suffered through intensive land use or urban encroachment, and return them to a state fit to support life in all its rich forms. We want to connect these places to everyone, using on-site field centres, live camera networks and online education facilities and resources to learn about, and enjoy, the benefits of a harmonious existence with wildlife. To achieve these goals, we need your help. We need your support to maintain the online project as it stands, and with your support we can expand this vision to new areas, converting degraded land into wild spaces that once again breathe life and hope back into our planet. We need to develop a fund that can be used to acquire land that currently has little value for the wild world and apply the ‘Wild Meadows’ model of restoration to it. To ensure the project has a sustainable future we intend to introduce field study centres and low impact accommodation to key locations to give people, young and old, the chance to learn about, and immerse themselves in, the natural riches that will again begin to flourish in these new wild spaces. For more information about The Simon King Wildlife Project and for details of how you could support us – please visit our website at SimonKingWildlife.com.